Dr. Dinesh Patel, M.D. is Chief of Arthroscopic Surgery at Massachusetts General Hospital (MGH). He is also on the faculty and a member of the admission committee at Harvard Medical School. He has taught Arthroscopic surgery all over the world and is a founding member of several international arthroscopic societies. Dr. Patel graduated from B.J. Medical College at Gujarat University in Guharat State, India. Later, in 2001, he established Asia's first Psychomotor lab to teach and train doctors and students in Arthroscopic surgery in Gujarat. Dr. Patel has been honored by numerous professional organizations, including an award given by former Massachusetts Governor William Weld as one of the best new immigrants in Massachusetts. In the February 2002 his peers voted him as one of the "Top Docs" in the field of Orthopedic Surgery (Boston magazine). He was Chairman of Board of Registration in Medicine in Massachusetts and served as a Director on the Federation of State Medical Boards - the apex body of all State Boards in USA from 1991 to 1995. At present he is Commissioner at Catastrophic Illness for Children’s Relief Fund in Massachusetts. Knee1: Arthroscopy is a relatively new medical technique. How did you become involved in its development? Dr. Patel: As you know, muscular-skeletal disabilities, especially in the knees, are really incapacitating. During my MGH-Harvard residency, we saw this, and wondered what we could do to really make a diagnosis precisely of the problem. How could we rectify the problem in a way that would remove the offending tissue in the shortest possible time, without sacrificing the joint, so in times to come the patient will have much less disability? By great coincidence in 1970, a new fiber optic light source, a cold one, had been developed. I took advantage of this opportunity and bought a scope for myself. I found out to my surprise that here was a gold mine in terms of opportunity to find out what’s happening [in the knee. So with an arthroscope, there’s a small little hole, and you can look at the entire knee joint. It was a fantastic opportunity to eliminate muscular-skeletal disability. Twenty to thirty years ago, if you had a torn medial meniscus for example, we would remove the entire meniscus. When you remove the entire meniscus, then twenty to thirty years later, when there is a loss of cushion, there is a loss of weight bearing function. So the idea was to prevent this, and remove the offending tissue. In order to do this we needed finer instrumentation. The knee is a very complex joint, and is also very small. So there were no existing specialized instruments. What I thought I’d do is design instruments that would match our needs in terms of size and length, without damaging the knee. So we designed those instruments, based on anatomical studies. And when you design instruments for removal of tissue in the knees, at the same time you will also be designing instruments for repair and reconstruction as well. The biggest breakthrough was first our ability to see what’s happening and then our ability to remove the offending tissue. The objective is a faster recovery, so the patient can enjoy their quality of life faster. Knee1: You’ve been called the ‘Father of Arthroscopic Surgery.’ Why? Dr. Patel: Well, first of all, I focused on making sure everyone knows what is possible. If you teach and train people, this is done. The second thing is the design of instruments. They may be calling me "Father," but there are many, many fathers. I’m one of the people who took an active interest in self-learning, self-teaching, self-doing, and promoting this technology all over the world. I’ve taught all over the world. I was the first official foreign guest of the Japanese Arthroscopy Society. I’ve also taught in Italy, Spain, Germany, Argentina, Mexico, and Brazil. I’m considerably interested in emerging countries. The value of arthroscopic surgery is there. If you look emerging countries, the infection rate in extremely high, and healthcare is too scarce. People who are small farmers or poor people, they may not want to see a doctor to open the knee as in traditional knee surgery. They fear being disabled for years, when they are the "bread winner" for their family. So arthroscopic surgery is a much better alternative for eliminating the misery of these patients. That way the farmer can go back to his activity level much faster. Knee1: How did you introduce arthroscopic surgery in emerging countries? How do you teach other surgeons about arthroscopic techniques? Dr. Patel: In order to demonstrate surgical techniques, I took two video cameras, arthroscopes, and instruments, and performed surgery in the smallest village in India, in Gujarat. We ran clinics, and saw hundreds of patients in one week. We operated on a number of these patients. At the same time, we televised the operation outside so the villagers could see exactly what happens, and then we got the patients out and functioning. We called it an "Education Camp." We continued the camps for a number of years, but these were camps mainly to take care of patients, and once they left, there were only few people to take care of them. At the same time there were many more patients who needed this kind of surgery. So we decided to hold educational meetings all over India, Argentina, Brazil, Spain, Italy, Germany, Mexico, Japan, and elsewhere. We simply operated on three or four patient and televised it so people and health care providers could see it. Then we taught the orthopedic staff, and resident students what to do. The third stage was to train bright young people. So we got some knee models, and taught the doctors further. Some of these surgeons ultimately founded the company Smith & Nephew (Editor’s Note- S&N is a Corporate Sponsor of Knee1.com), who have been pioneers in instrumentation for arthroscopic surgery. They took a great leadership role, in making sure they contributed to the health and welfare of the public not just here but in emerging countries. They also provided a great opportunity in partly funding this educational activity all over the globe. Knee1: How do emerging countries address the need for advanced technology? Dr. Patel: It’s very simple. You talk to people and educate those people who are in power in healthcare, or the government, or philanthropists, or doctors, and tell them that if I do ten open knee surgeries per month, all ten patients must be hospitalized for one week. It is remotely possible that one may have an infection, one may get a blood clot in the leg, one may be stiffer in the knee, etc. That means the cost to healthcare providers, or the hospital, or the government, is extremely high. Let’s say for example, you have a patient who has an infection in the knee. So he’ll be in the hospital for three more weeks, he’ll be on antibiotics for a long time, he’ll have knee surgery again and again, and he will not go back to work faster. But with arthroscopic surgery, there are small incisions, so the incidence of infection is lower, the incidence of stiffness is lower, and the length of stay in the hospital is lower. This reduces costs to healthcare professionals, insurance companies, and to people where they are working. Since the patient won’t be disabled they can go back to work much faster. Knee1: What should a patient ask an arthroscopic surgeon before surgery? What would be offensive to ask? Knee1 note: Watch Dr. Patel on Choosing An Arthroscopic Surgeon Here - (56K) | (250K) Knee1: What can patients do to prepare for arthroscopic surgery? Dr. Patel: This Internet era provides a lot of information. If patients have knee problems, they can look at Knee1.com or some other web page telling them about arthroscopic surgery. They can view information on what the knee is all about. Or they can get a book to read. These give the patient some ideas to open the dialogue with the doctor. Knee1: What can a patient do to assist his/her arthroscopic surgeon in making a diagnosis? Dr. Patel: Well they need to be factual. For example, if a 25 year-old student goes skiing and hurts his knee, I would ask: ‘How did you hurt yourself?’ ‘Did someone hit you?’ ‘Did you fall?’ He has to be able to describe the mechanism of the injury. The main reason to do this is to maximize the patient’s and everyone else’s time. Basically we’re concerned about the mechanism of injury and the results of diagnostic tests. When the patient comes we talk about specificity, and what steps to take to make knee injuries better. Knee1: What should the patient know before surgery? What is the general process for arthroscopic surgery? Dr. Patel: First of all, they have to know what the problems are, what the alternative suggestions/solutions are, and what course of action they want to take – if they want to take a conservative route, or physical therapy, or bracing, etc. Certain times that route will not be the best route, because the doctor knows that route won’t work. But for certain conditions there is an alternative to start with. Second the patient has to know what arthroscopic surgery is all about, what is the purpose of it. An Xray or MRI can tell us a lot about the knee, but it still doesn’t tell you all about the knee. So what arthroscopy does is to tell us precisely and exactly what’s in the knee. So while the diagnosis by basic X-ray or MRI could be a medial meniscus tear, at the time of surgery we may see a torn ligament, a torn lateral meniscus, and possibly other problems. So a patient has to be ready for the doctor to do what he thinks is the best course of action. Dr. Patel: The protocol for rehabilitation starts before the surgery. We want to make sure there is no atrophy in the muscles. Isometric exercises: tightening the quad muscles, the hamstrings, the feet and ankles are good. We want to make sure the patient doesn’t get any blood clots in the leg, so moving the foot up and down to eliminate problems is important. Right after the surgery, our objectives are to reduce the stiffness in the knee, reduce the swelling in the knee, reduce the atrophy in the muscle, improve the function, and prevent problems. So as soon as the patient is awake, they start moving the muscles to make sure muscles don’t get weaker. We can tell them what to do ahead of time or after the surgery, and as they’re comfortable, we will deploy motion (such as continuous passive motion- CPM) to start moving the knee. Not all patients need CPM or supervised rehab; some will move the knee on their own. 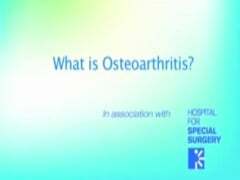 Knee1: Are there roles for arthroscopic surgery in osteoarthritis/hip resurfacing? Dr. Patel: With pain from osteoarthritis in any joint, we as surgeons are not certain if the pain is coming from mechanical damage, or if it’s just the bone to bone contact. There’s no way to be precisely sure how much pain is coming from a torn meniscus, how much from arthritis. Regarding knee resurfacing, if we think the resurfacing procedure has value, then arthroscopic surgery is less invasive than open surgery. Knee1: What about Cartilage repair? Dr. Patel: Well, there are tough questions to answer for cartilage repair. Technical questions are: can you implant the cartilage cells? Technically we can do it. The questions we have to ask are: who are the patients, what is the long-term benefit, do they grow actual cartilage cells? Right now all of these are being studied. Most doctors would not tend to implant cartilage cells if there is massive bone to bone contact, major instability in the knee, deformity, or if the patient is older. If there is an isolated lesion without instability or mal-alignment then there is room for cartilage cell implantation. But the question is, will the implant form normal cartilage cells? Many people are studying this and someday we’re going to perfect this. Knee1: What is the future of arthroscopy? Dr. Patel: The most important benefit of arthroscopic surgery is seeing things better than in any other way. You can see things in the shoulder, in the knee joint, the elbow joint, the ankle joint, the wrist joints, the finger joints, the toes, the hip joints, in every joint. So the opportunity to see by small incisions can make things better and work faster. The second facet is to do endoscopic surgery, as in carpal tunnel syndrome. There’s a small tunnel, you put a scope in it, and release the tightness and the carpal tunnel endoscopically. Arthroscopic fixation of intra-articular fractures is also getting popular. Arthroscopic techniques can be used in quite a large number of disabling conditions. These techniques can be categorized as: Repair, Remove, Reconstruct, Re-implant, and Redo. Other surgical areas where arthroscopic techniques will take hold include: the abdomen, gall bladder, kidneys, brain, heart, chest, vasculature, and gynecological areas. This technique can be used to get a diagnosis, and will thereby lead to innovative instrumentation being created to take care of the problems. I believe that the result will be reduced trauma, faster recovery, and reduced cost to the healthcare system. Those all add up to an improved quality of life.